The over 60-year old family business is now a global player in more than 50 countries. Tradition and continuity combined with innovation have made SIRO a leading manufacturer and supplier of decorative furniture fittings. Always adjusting design to the pulse of time and developing products that meet the world’s diverse requirements for appearance and function are part of SIRO’s daily work. SIRO’s customers can rest assured that they have a highly reliable and flexible business partner always aiming to optimise product quality. Categories: BRANDS, Door, Ironmongery, Siro, TYPE OF PRODUCT. SIRO is a leading supplier of distinguished decorative hardware to the world for more than 65 years. Sophisticated, creative and imaginative designs, exceptional variety of styles, sizes and materials, premium quality and a steady stream of new items consistently put our products at the forefront of decorative hardware fashion. We operate on the firm principles of integrity and strive to provide our customers with friendly, professional, expedient and reliable service at all times. As a result, we have built a solid reputation as both a trusted brand and business partner. 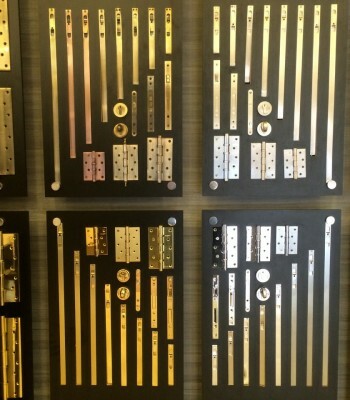 New items are added to our extensive assortment of pulls, knobs and hooks on an ongoing basis, ensuring a broad and up-to-date representation of popular choices, contemporary trends and the discerning, individual taste and preferences of today’s decorative hardware user.